TO MY TRAVEL FAMILIES... I've been asked about the products I'm planning using the photos from the 2012 trip (Israel/Mediterranean trip), and when they might be ready.. So, here's the scoop: Products will include a calendar with a minimum of about 24 photos, a hard bound coffee table book which will include approximately 75 to 80 images, note cards and holiday or Christmas cards, limited edition prints on canvas both framed and unframed, and finally a DVD of all the images in this gallery set to music. All the products will be of very high quality. All of the images will be exquisitely edited and many will include specially selected scripture that may have a personal meaning to you. The DVD will not be for sale, but will be given as a bonus 'thank-you' gift to anyone who purchases any product. I hope to have all these products available in time for your selection for gifts for Christmas. ALSO... at any time you may pre-order any product I will make available. I'm also doing something very special this year.... YOU may choose any image in this 2010 gallery OR the 2012 gallery and personally choose your own special scripture for placement on your chosen image. I'll custom print it for you on a 16" x 20" high quality canvas and mount it to acid free foam core board for you so that you can pop it into a standard frame of your choice... or have me frame for you. For any custom order, or pre-order of any product from this 2012 gallery OR the 2010 gallery, please call me at 505-563-0576 anytime. THANK YOU SO VERY MUCH FOR YOUR INTEREST AND SUPPORT OF MY WORK. GOD BLESS!!! 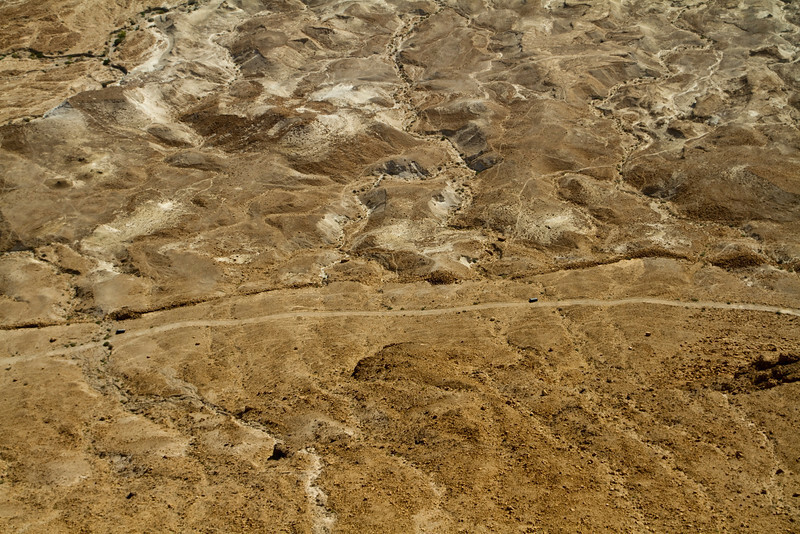 This road surrounds the mountain on which Masada was built. Note just above the road is a long line of rubble. The Romans built the road, some fortresses, and a wall surrounding the mountain, trapping the inhabitants. They eventually built a dirt ramp to the top of Masada; the assult on Masada took years to complete. However when they finally reached the top in 73 AD, not one person remained alive as the zealots committed mass suicide rather than be captured.